In part to relieve the Russians, staggering before the German-Austro-Hungarian Gorlice-Tarnow offensive of 1915, the Allies pressed German forces the length of the Western Front, with bombardments through August and September, from Switzerland to the Belgian coast, extending the shelling to ships along the coast, and conducting air raids on communications and supply lines. 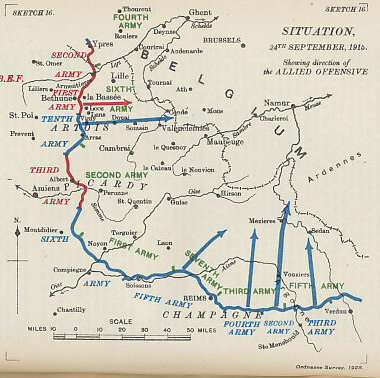 Joffre planned simultaneous offensives against German positions in Northern France in the fall, with the French in Champagne along a front line running east-west, and British and French forces striking along a north-south line between La Bassée and Arras, with the British manning the northern end of the line. 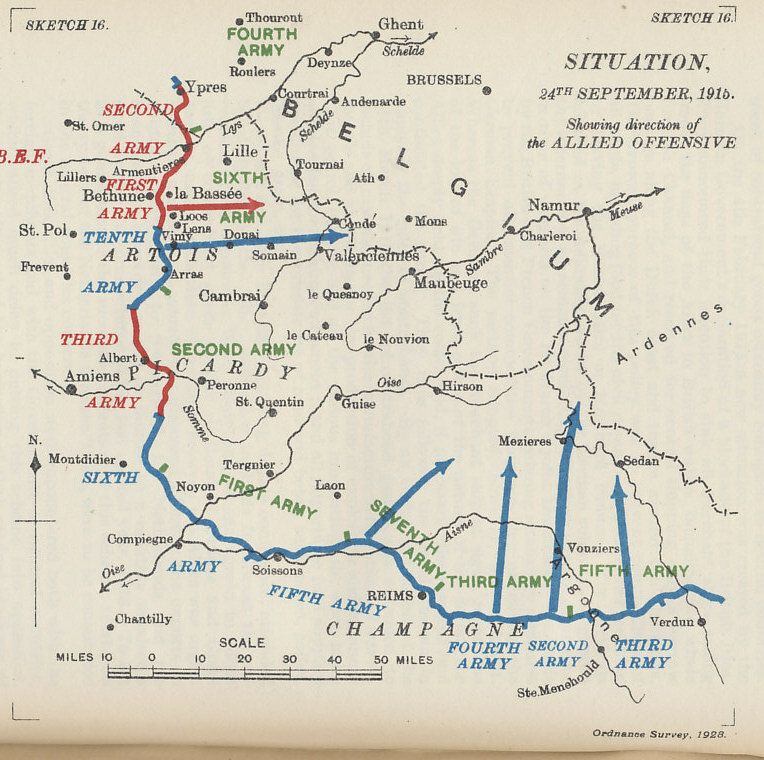 The offensive was the Allies' largest to date in numbers of men and artillery. Including cavalry, reserves, and reserve Belgian divisions, the Allies fielded 1,200,000 soldiers. After a four-day preliminary bombardment, they advanced on September 25. Under Field Marshal Sir John French, Generals Haig and Plumer commanded the British forces towards Loos. The French 10th Army under Foch immediately to their south advanced towards Lens, and Castelnau commanded the French 4th and 5th Armies in Champagne. The British used poison gas for the first time in the Battle of Loos. Although the attack had some success and the city of Loos was taken, the British had inadequate reserves to break through the German line. South of the British, the French had twice as many guns for each mile of the front as the British did, but the bombardment was inadequate to destroy the German barbed wire defenses. 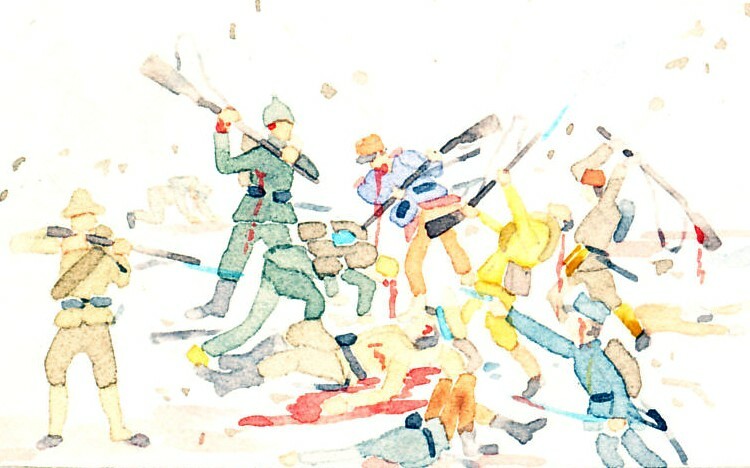 The attack, the Third Battle of Artois was repulsed. In the Battle of Champagne, the French advanced with 35 divisions and some success, but the attack was stopped by the German second line of defense.